Directions: Hwy 85 north to 8th Street, take a left, Tom Thumb on corner, then right on Georgia, then left on McLaughlin. Remarks: Real Estate Owned REO. Own acreage right in the heart of town close to bases, schools, shopping, hospitals and amenities. 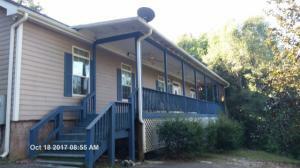 This 4 bed 2 bath built in 2006 sits on over 2 acres of land. There are some very nice trees that line McLaughlin. This home has a kitchen with recessed lighting and crown molding along with the open floor plan with an eat-in kitchen area and French doors leading to the deck. The covered front porch on the home running the full length gives you a nice extra outdoor living area. The master suite has a very open feel with walk in closets, a garden tub and double vanity. This home has good sized bedrooms as well as a fireplace to enjoy the upcoming winter time and lots of storage — plus its lakefront! 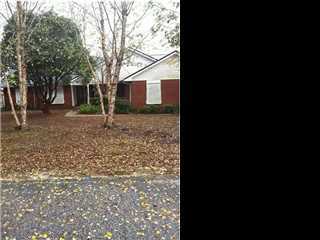 Call today to see this one at 725 McLaughlin St.
Subdiv: CHEROKEE BEND S/D PH 2 ImmOcc? Dir: From 85 and 90 take Highway 85 to john king rd on your left, TURN Right into Cherokee Bend follow to Atoka trail. 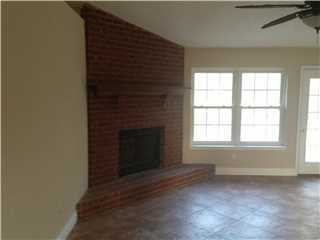 This is an all brick home on a corner lot. The home comes with several upgrades. The walls have been freshly painted in neutral tones that complement the brand-new carpets. This home boasts the popular split floor plan. Brick faced fireplace in family room, Great views of lake from bay windowed breakfast area.Formal dining & Formal living room, plus 4 bedrooms. Master suite is large and includes a double vanity, 2 walk in closets, A linen closet. Big 2 car garage. Side entrance to garage available. Ceiling fans throughout including the kitchen. 10 X 25 Deck on the back overlooking the lake.